"(n. One who has returned, as if from the dead.)" In this adventure drama, a nineteenth-century fur trader gets attacked by a bear and left for dead by his colleagues. Their betrayal is much bigger than that, though, and the man must draw upon all his resources to stay alive and bring the wrong-doers to justice. 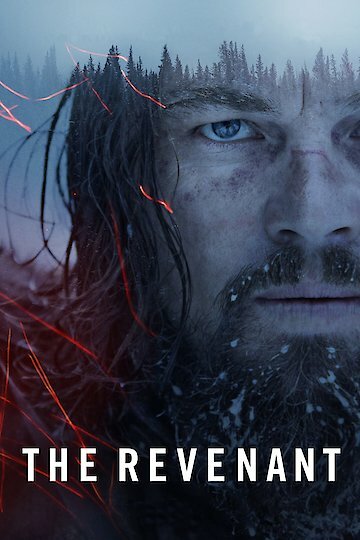 The Revenant is currently available to watch and stream, download, buy on demand at FX+, Amazon, Vudu, Google Play, iTunes, YouTube VOD online. The star was spotted out and about at some South Florida nightclubs. Weekend Box Office: How Did Oscar Winners Do? Now we know which films the Academy thinks were the best of 2015. Last weekend, moviegoers voted for the top films with their ticket dollars. How did the results of the two competitions compare? The actor and the model have reportedly split up after nearly a year as a couple. Oscar Favorites: Who's Got the Best Chance of Winning? For many movie fans, the Oscars are as much a chance to place playful bets as they are a time to pay tribute to the Academy's favorite movies. With that in mind, it's helpful to know who are the favorites in the top categories. In The Revenant, Leonardo DiCaprio's character has to survive a battle with nature. Last weekend, so did moviegoers who wanted to get out to see the film. They went out anyway, and The Revenant won the weekend. For the past several weeks, The Force Awakens has leveled all challengers at the box office. This week, two new movies step up and try to dethrone the monster hit. Does either of them have a chance? For a while at the beginning of the weekend, it looked as if The Force Awakens might give up the top spot this week. It was a tough battle, but in the end, The Force was triumphant again.